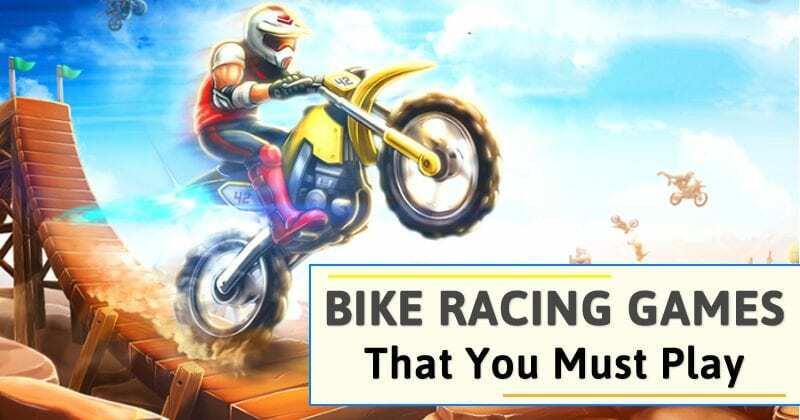 Best Android Bike Racing Games That You Must Play: Today we are going to share an awesome article on gaming, For bike lovers, this is the must read post. Because we have compiled some of the awesome bike racing games available on Google Play store that you must install to enjoy the ride. We all are game lovers and are crazy about playing the bike racing games. Nowadays there are many Bike Racing games available on play store but many of them are not so cool as their names. So we have compiled a list of the best HD bike racing games on Android by having an overview of many factors like user ratings, comments and some of my own experience. If you are a good game player then you will surely like this. Many of the games mentioned in this article are having high graphics quality and user-friendly interface. Their also very good 3D effects in these games. Let’s take the overview of these Free Android Bike Racing Games. This is very awesome and cool game developed by a very good game developer of play store namely Creative Mobile. This game is very interesting and offers realistic bike racing effects. It can set according to your device’s screen. Graphics of this game are also very good. This is one of the most popular bike racing game. The main feature of this game is that you can pick up interesting tools in this game and can attack other bikes. Also, every time you complete the rivals, you will get more helmets. This is also another awesome game with good graphics quality. This is the best game that I have experienced till now. You will get the crazy experience while unlocking different features. This Bike racing game has awesome views while riding the bike. There are many views like deserts, cities, and forests etc. Also, you can choose your favorite bike. So, this is one of the best bike racing 3d game that you can play. In the 3D category, this is one of the best graphics bike racing games for android of all time. Many of the game lovers will like this game, that’s the reason it is acquiring popularity day by day. Its 3D effects are really superb and you will definitely like this awesome game. This is an another best hd bike racing games for android. It is a freestyle bike racing game and supports multiplayer. It has 13 different motorcycles, 96 freestyle racing tracks and much more. It’s an insane motorcycle racing games and contains lots of stunts. This game is for those who love to do a stunt. It has quite a fast gameplay, and it is one of the most addictive game you will ever play for sure. SBK 15 Official Mobile Game is from Digital Tales S.r.l it is one of the best game you can ever play on your Android smartphone. The reason behind its popularity is because it offers awesome gameplay graphics. It comes up with realistic 3D gaming graphics with dynamic lighting effects. Racing Moto is a fast paced motorbike games free download. You never dare drive so fast in the real world! You need to control your moto with incredible fast speed during traffic rush time! Also enjoy beautiful view during the journey – desert, city, bridge, sea and forest! Traffic Rider takes the endless racing genre to a whole new level by adding a full career mode, the first person views perspective, better graphics and real life recorded bike sounds. The essence of smooth arcade racing is still there but in the shell of the next generation. Bike Rivals is a new and exciting physics-based motocross game from Miniclip. It is the most intense, competitive game. In this game, you need to beat your own best and even compare it with your friends. Here you need to ride your bike and swipe, jump, duck, dodge and dash your way to victory! Non-stop high octane Bike racing action in the new awesome quality game from one of the top developers. JUMP over bridges and buses! RIDE across the City and Park! TRICK off the MEGA RAMP for some sick air time! Highway Stunt Bike Rider is a fast paced bike racing game. In which, you being daring and passing cars closely, and making stunts with your motorcycle by increasing speed for getting scores. Be careful with your maneuvering though, crashing into cars will hurt! Tricks, bunny hops, and flips! Highway bike race 3D takes the endless racing genre to a whole new level by adding a full career mode, the first person views perspective, better graphics and real life recorded bike sounds. Collect Coins to Make High Score! This is an offroad game from 2XL games. Games can enjoy racing a motorcycle rider against up to 8 players. This game features 3D aspects and freestyle racing modes in this ultimate motocross game. Gamers need to drive their dirt bike over a crazy dirt bike track with rocks and obstacles to navigate. The obstacles in the game make the gameplay addictive. Gamers need to unlock new tracks by completing the given targets. This is one of the best physics-based bike game which you can play on your Android devices. The game features a realistic and eye-catching graphics which provides games the best motorcycle game experience. Bike Race is one of the best racing game on Android! Race and have fun against millions of players. Bike Race is one of the top-rated free games and it’s free! Speed up the wheels and get ready for fun! Death Moto 3 is one of the best HD Racing game which you can play on your Android smartphone. The great thing about Death Moto 3 is its graphics which is impressive. Apart from these, the game features some exciting battle where you can to chase, fight against other bikers on the road while riding the bike. Special task, let you one’s blood boils with indignation. Modes are full of challenges. If you are looking for a bike racing game that is full of fun and excitement, then you need to play Racing Fever: Moto. The Racing Fever: Moto can give you a real bike racing experience. The game has over 16 different motorcycles and 4 different regions. The game is very addictive and it supports 23 different languages. These are the Best Free Android HD Bike Racing Games 2019. You can easily download these game from the Play Store and they are absolutely free. All the above games are ranked according to their user ratings and their feedbacks. Don’t forget to share. Also, send your feedback about these games as a comment.